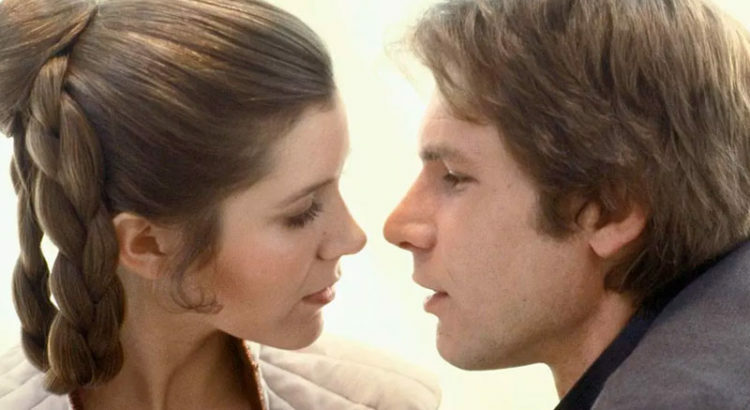 After the release of the seventh part of the space saga, viewers were upset that the beautiful love story of Princess Leia and the smuggler Han Solo ended with their breakup. In the course of the film, it becomes known that the characters got married and gave birth to a child, but then they broke up. Many assumed that the reason for the breakup was the decision of their son to join the Dark Side. However, according to Fisher herself, everything turned out to be much simpler and more prosaic. Leia was not happy that her husband didn’t quit smuggling, spent too much time with his best friend, Chewbacca, and was also not a very good lover. But for now, let’s start with the beginning and remember how everything started. However, at first, visit one of the best Russian women dating sites and write your own love story. So, the characters first appeared in the fourth episode of the fantastic epic Star Wars: New Hope. Their romantic relationship developed over the course of three films. Solo was a quite busy man, but he found time to openly show his love for Leia. When Isolder appeared on Coruscant, he proposed to Leia and promised the Republic for all sorts of benefits. Solo acted in a typical reckless manner for him. He kidnapped Leia and fled with her to the planet Dathomir which he won in an amazing sub-game. After proving their love to each other, Han and Leia got married some time later and began raising three force-sensitive children. For a man who grew up without a family, his own became the main concern. Many times, the enemies tried to kidnap his children, wanting to act in this way on him and Leia or use the masters of the Force at their discretion. Again and again, Han and his friends repulsed these threats. When the children grew up enough to defend themselves, Solo felt that his family was finally safe. He had never been so cruel. During the Yuuzhan Vong invasion, the Galaxy lost many lives to the glory of these sinister aliens. Using the bizarre organic generators of gravitational fields, the Vong pushed the moon from the planet Sernpidal orbit. Solo and his friend were evacuating the civilian population, and Han was forced to leave his old friend on the planet. Chewbacca died when the moon collided with Sernpidal, and Solo blamed his son who was piloting Falcon at that time. Shocked by the loss of Chewbacca, Solo fell into depression and started drinking too much. He returned to his smuggling past, abandoning his family. However, his new friend named Droma helped him understand that he wouldn’t be able to escape from his grief, as he shouldn’t run from his family. Han and Leia reunited. He tried to improve the situation in his family, but the Galaxy was overwhelmed by a wave of destruction, not giving the Solo family any opportunity to reconstruct the relationship. The next blow to the suffering of Solo was the loss of their youngest son who led a daring mission in the heart of enemy territories. Han helplessly watched as Leia fell into sadness and agony when the news of her son’s death reached her. In addition to this tragedy, they also lost Jacen who went missing. Han and Leia began to notice how their daughter was turning from that careless girl they had known before into a battle-hardened fighter with a harsh fighting spirit. After the death of Anakin, Han and Leia began to work together, leading many of the most important missions of the Galactic Alliance fighting on all fronts. But as you already know, they decided to break up after some time later.